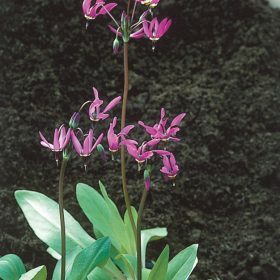 Dodecatheon are also known as Shooting Stars and grow well in the shade. Dodecatheon are commonly called Shooting Stars. They have very attractive stems of several cyclamen-like flowers.